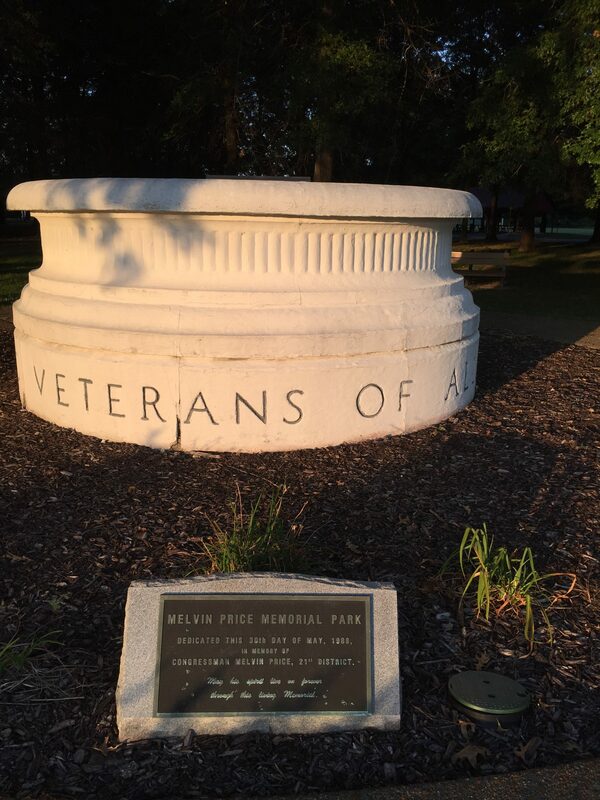 The Walk will start at the Melvin Price Park with trinkets and eggs to collect along the walk. Certain eggs will win walkers prizes. 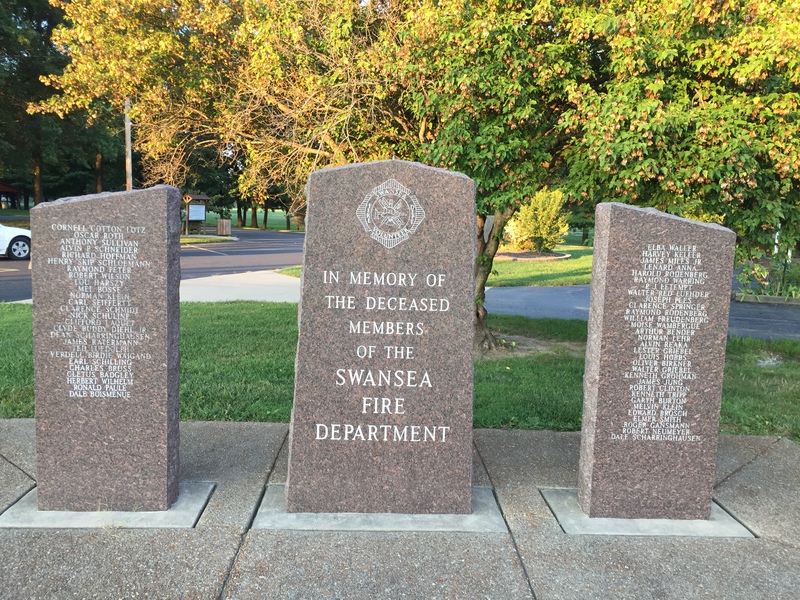 Walkers will view memorials to veterans and fireman along the walk. 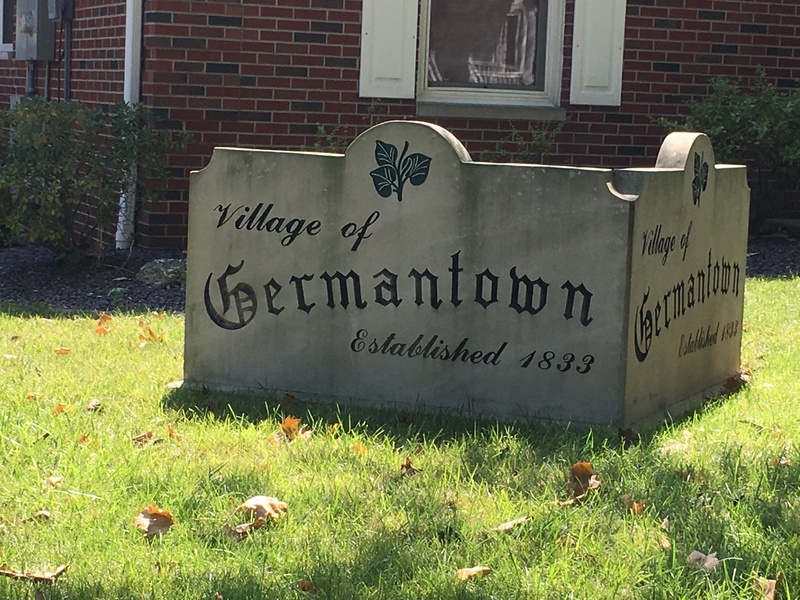 One of the views on the Germantown walk. Scroll down this page to view more views from the walk. 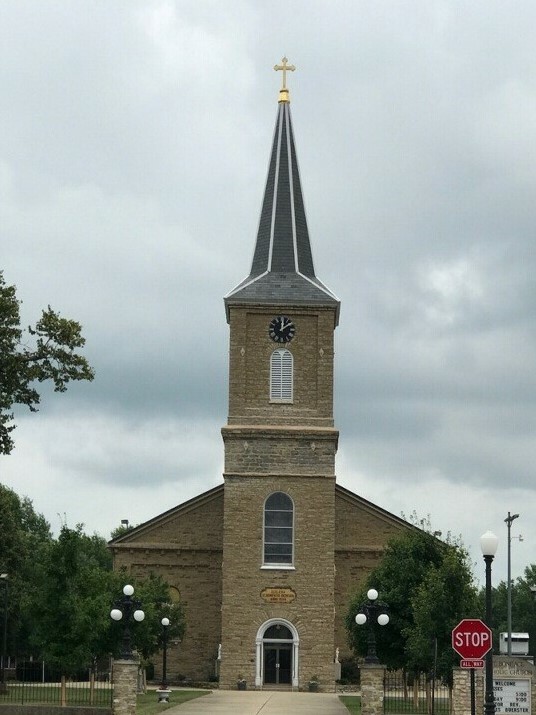 St. Boniface Catholic Church was completed in 1856 and at that time was the largest church building in Illinois. It is considered the mother church of Clinton County. All other churches in Clinton County began from St. Boniface as the population grew. 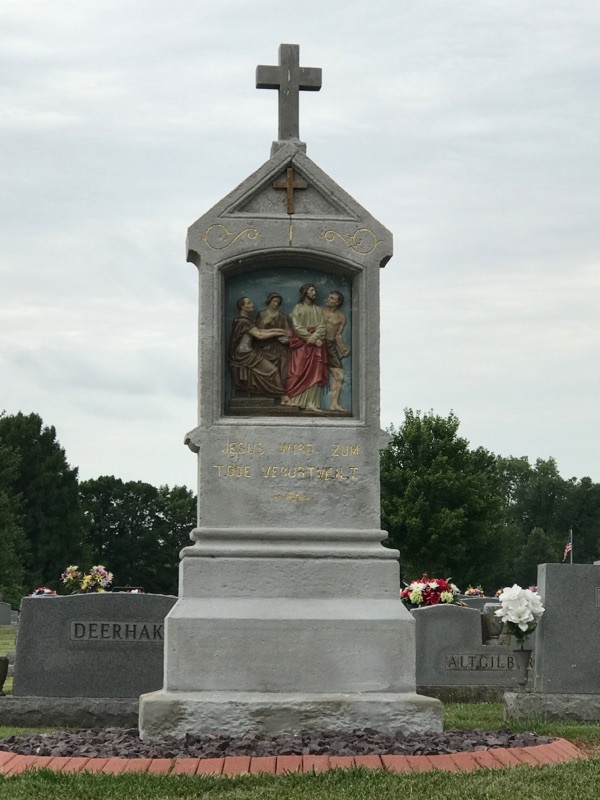 Walkers will see the Stations of the Cross with German inscriptions that were erected in 1893. Stroll past a replica of Red Schoendienst’s Cooperstown MLB Hall of Fame Plaque. 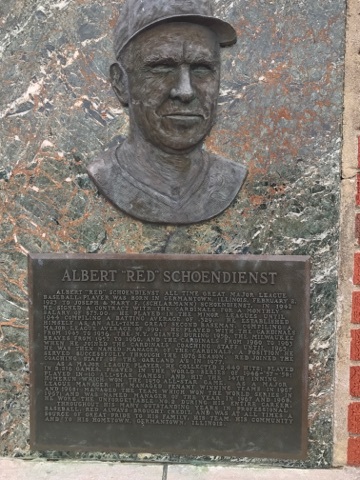 Red Schoendienst was a former St. Louis Cardinal player, coach and manager. 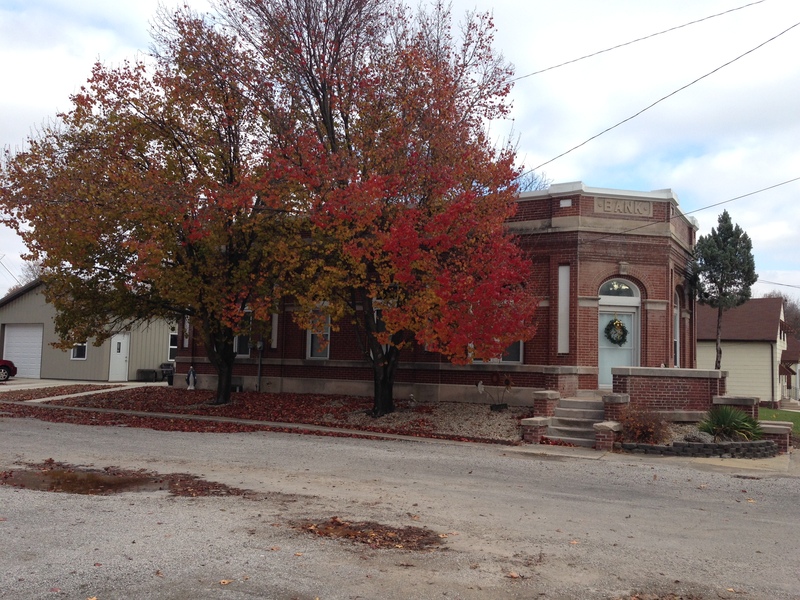 The Old bank is one of the historic buildings walkers will see on the walk. 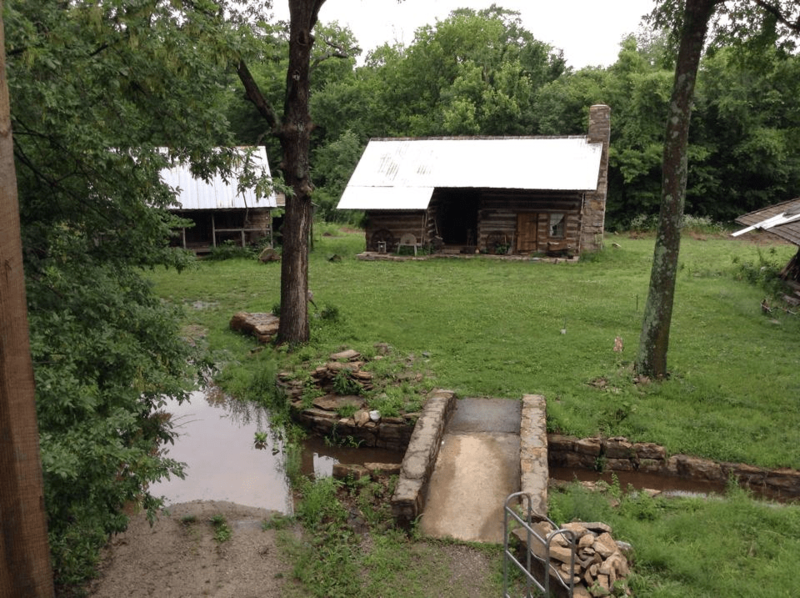 The cabins inside the fort that walkers can see after finishing the walk and taking the shuttle bus to the fort. Shuttle bus available 10:00 am to 2:00 pm for a donation. This arrowhead display is one of the many displays that will be available for viewing at the fort that walkers can see after finishing the walk and taking the shuttle bus to the fort. Shuttle bus available 10:00 am to 2:00 pm for a donation.